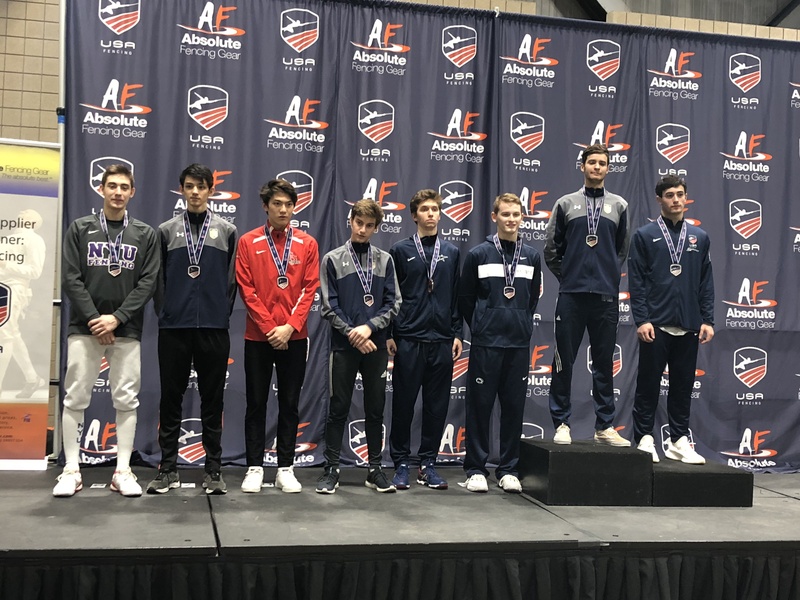 Hewlett High School senior Alan Temiryaev, second from right, captured his second junior national fencing title. From left Ian Sanders, Steven Grams, Howard Zhao, Skyler Liverant, Jonathan Piskovatskov, Ryan Griffiths, Temiryaev and Isaac Herbst. Alan Temiryaev, a senior at Hewlett High, won his second junior national title at the North American Cup in Kansas City, Mo., from Nov. 9 to 12. The victory buoys the New York Fencing Academy member’ chances of making the U.S. Junior National team after a seesaw start to his fencing season. He had to defeat his club mates, New York University fencer Sam Bekker and Skyler Liverant, and then upended World Championship silver medalist, Ryan Griffiths and Youth Olympics bronze medalist, Isaac Herbst, in the finals. Temiryaev’s next competition is at the World Cups in Riga, Latvia and in Luxembourg.